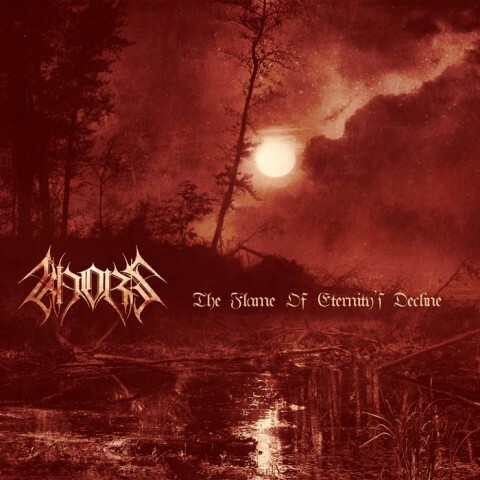 The Ukrainian atmospheric black metal band Khors is to reissue its debut album "The Flame Of Eternity's Decline" on November 6 via Svarga Music. Re-release is coincided with the 10th anniversary of the record. Exclusive album stream is available above. "The Flame Of Eternity's Decline", which was completely re-mastered and re-mixed in 2015, features a guitar solo by Wortherax (Twilightfall, ex-Nokturnal Mortum) and keyboards by Saturious (ex-Nokturnal Mortum). The album is to be released in a noble 6-panel digipak with new artwork. Pre-order the album via Svarga Music.